Camping is a great way to commune with nature. It is an up close and personal experience that gives the opportunity to break the urban habits and enjoy the wilderness. However, this doesn’t mean that you should give up the comfortable sleeping. 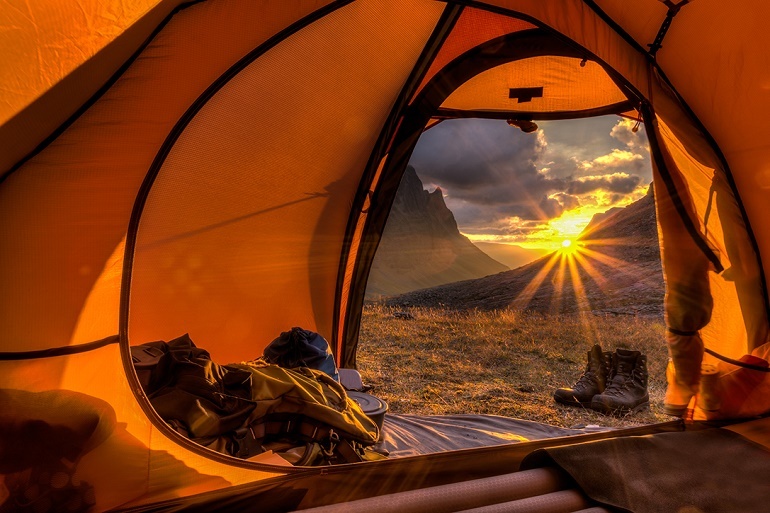 Luckily, there are a number of ways to ensure that sleeping in a tent under the sky can be as pleasant as being in your home bed. All you need is the right sleeping gear. If you are not sure how to do it, take a look at the following tips. 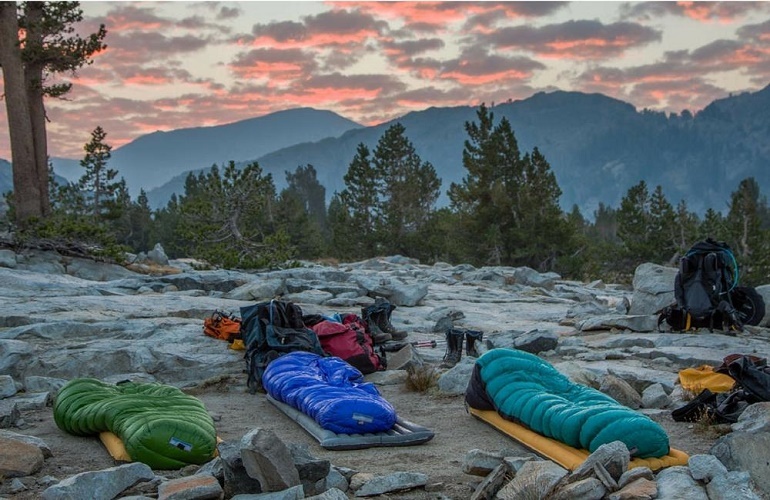 First of all, you need to choose the right sleeping gear camping solutions, and you should start from the basics: a sleeping bag, sleeping pad and pillows. Before choosing a sleeping bag, you should have in mind the temperature and the climate of the place you are going camping so that you can choose the appropriate bag style and temperature rating. There are different types of sleeping bags you can choose from such as the mummy type (a narrow shaped bag ideal for maximum insulation and minimum volume and weight), the semi-rectangular type (with a tapered cut that provides efficient heat retention) and the type with rectangular shape (this one provides a lot of space and is the perfect choice for warmer climates). You can unzip some of them to use as a quilt on milder nights. Next, moving on to sleeping pads and they fall into three categories: self-inflating, air and closed-cell foam. If you go car camping and weight carrying is not a problem, then you can choose a thicker, wider pad or mattress for maximum comfort. But if you are backpacking, a super-lightweight air pad or closed-cell can be a better choice. And when it comes to choosing a pillow, you can bring one from your home or buy an inflatable camp pillow. Or, if your sleeping bed or air mattress comes with a pillow, you don’t have to worry about bringing an extra one. Some extra items you can bring with you are an eye mask and earplugs. The eye mask is extremely helpful if you are in a campsite with ambient lights whereas the earplugs can dampen or even block out irritating noises that prevent you from having a relaxing sleep. Campers who have trouble falling asleep peacefully because of noises swear by earplugs. When it comes to the temperature ratings, mainly, there are three key temperature ratings that follow the internationally accepted European Standard EN13537. The first one is Comfort which is the lower limit of comfort range down to which a sleeper will not feel cold. The second rating is Limit or also known as the lower limit of the transition range and the third one is Extreme which is intended to use for very low temperatures where the risk of health damage by hypothermia is possible. However, regarding the third temperature rating, it is only a surviving rating because clearly, no one should ever plan to use the sleeping bag at such a low temperature. Finally, there are some extra tips alongside the sleeping gear camping solutions which are very helpful in order to stay warm during the night. One of the things you can do is to eat a meal or light snack before you go to bed because the process of digestion of the food will generate the heat needed to create a warm internal feeling. Also, you can drink a warm, nonalcoholic drink (nonalcoholic because alcohol dilates your blood vessels which causes heat loss) or do a little exercise without reaching to the point of sweating. Furthermore, dry socks, long underways, a cozy neck gaiter and even a warm knit hat are always helpful. Finally, putting a warm bottle close to the core of your body or next to the femoral arteries (between the legs) will certainly help your body generate heat and warm itself.